Eucalyptus gunnii or Cider Gum is a deciduous tree native to Southern Australia and Tasmania. In its natural habitat it can reach up to 100 feet (30 m) tall. The bark is smooth green and white. Juvenile leaves are leathery, glaucous blue and rounded to oblong to one to two inches (2.5-5 cm) wide. The adult leaves are greenish to 4 inches (10 cm) long and narrowly to broadly lanceolate. When leaves are crushed they are heavily scented. Trees are hardy down to 5-10°F (-12° to -15°C). They are very hardy in USDA zones 8-11. Blooming: The trees bloom in April to June with very small creamy white blooms in clusters of 2-3. Culture: Eucalyptus gunnii need full sun to partial shade when young and full sun when in adult form. In the greenhouse, we use a soil mix consisting of 1 part peat moss to 2 parts loam to 2 parts sand or perlite. The trees are well watered and allowed to dry somewhat before watering again. We fertilize them monthly during the growing season with a balanced fertilizer. The trees are fairly fast growing and if grown in containers some pruning is needed to keep the plant within bounds. If the tree is kept shrub-like, the bluish juvenile leaves (shown here) hardly ever turn into adult leaves. With this in mind, it makes a very good container specimen. During the winter months, the plants are moved to our cold rooms and nighttime temperatures are kept at 48°F (9°C). Water is somewhat restricted during this period. These plants are drought adapted and do not like wet soils. Propagation: Eucalyptus gunnii are propagated from seed. The seed are very small and are best sown on equal parts peat and sand. The seeds germinate in 80-100 days at 70°F (21°C). 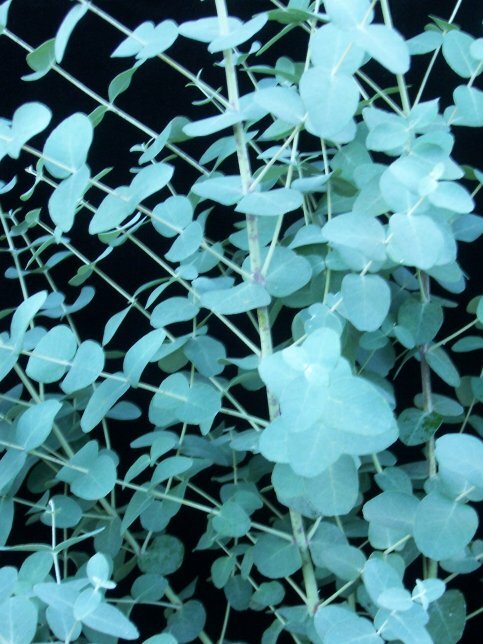 Eucalyptus gunnii was featured as Plant of the Week January 26-February 1, 2007.